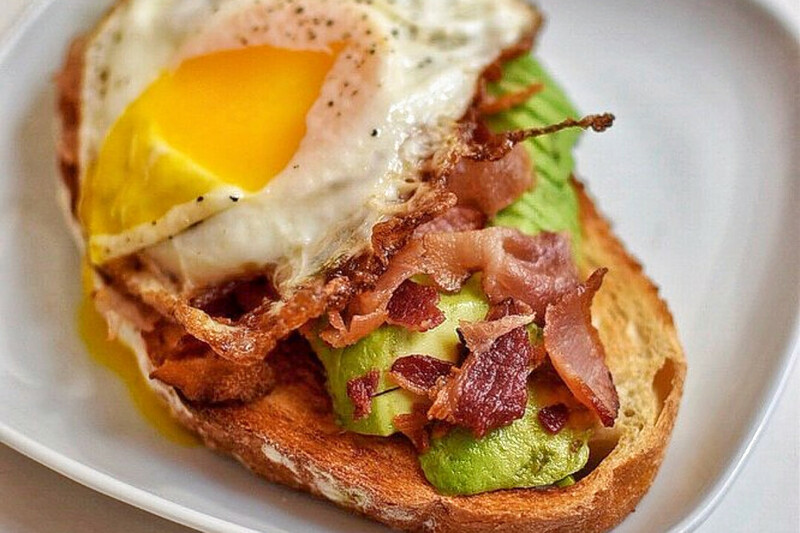 Are you making breakfast or brunch plans in San Francisco for Mother's Day? We found four new eateries serving mimosas, stacks of pancakes, savory egg dishes and other items frequently associated with the week's most leisurely meal. Doors Open is a temporary "benefit pop-up" courtesy of Nick Floulis, of Opavino and Chubby Noodle fame -- and partners Elmer Mejicanos and John Paul Jacques, formerly of Tony's Pizza Napoletana. The team set aside plans to open their new venture, Lillie Coit, to help "spotlight the five businesses destroyed by the St. Patrick's Day fire, with 100 percent of the profits going directly to the employees of Salzburg, Ferry Plaza Seafood, Rogue Ales Public House, Tuk Tuk Thai, and Coit Liquors," according to the business' website. 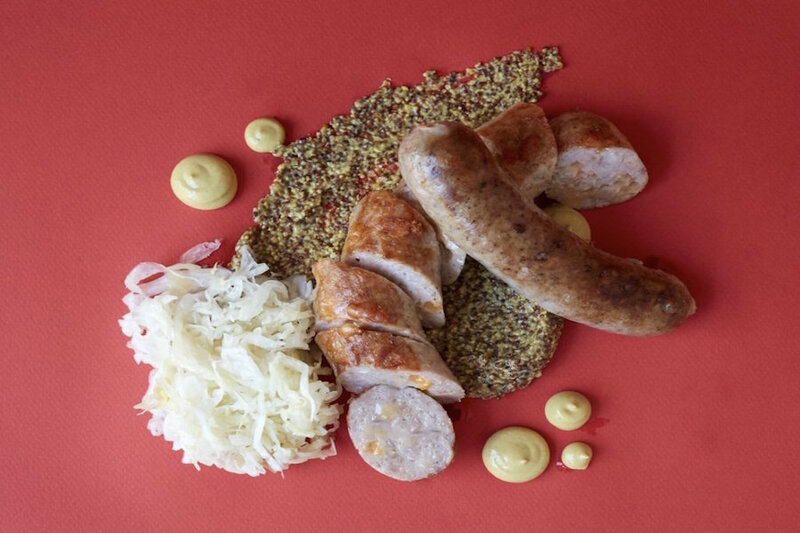 The restaurant features a selection of craft cocktails, plus sausage and schnitzel made by Union Larder and Salzberg chef Ramon Siewert. The project plans to remain open through June. Doors Open is getting positive feedback from visitors with five stars out of two reviews on Yelp. "If you want a cocktail that's perfectly balanced and mind-blowingly creative, this is the place to come," wrote Yelper Gregg G. "Don't debate, just get here and open your wallet. I've lived in the city for ages, and hands-down these are the best drinks I've had since I've been here." Mike P. noted, "Outstanding creative drinks, maybe the best in the city! Great mix of food. The staff is super nice and service is great! This place will only be open for a few months, so hope many people get to enjoy it. Five stars!" Doors Open is serving from 5 p.m. to 1 a.m. on weekdays, and from 10 a.m.-1 a.m. this weekend. 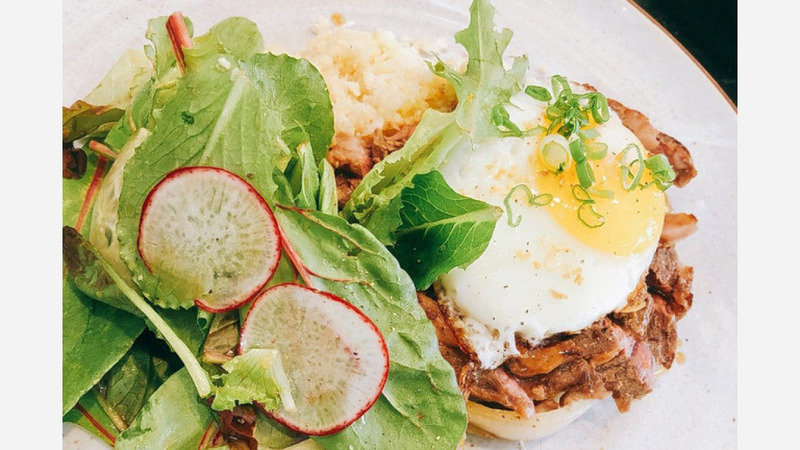 1608 Bistro has your weekend brunch craving covered with Filipino-influenced fare. The newcomer serves a variety of cuisine from the vast archipelago, ranging from pandan pancakes to ube French toast. The restaurant is located at 1608 Bush St., and is open on weekends for brunch only. So far, the restaurant has earned 4.5 stars out of 18 reviews on Yelp. "I was here for the soft opening and I have to say that everything that I tried was amazing," Yelper Harry C. wrote. "My favorite was the sous vide bistek and eggs. The steak was really good and super juicy, and the cauliflower garlic rice was so delicious, I didn't even realize it wasn't rice." 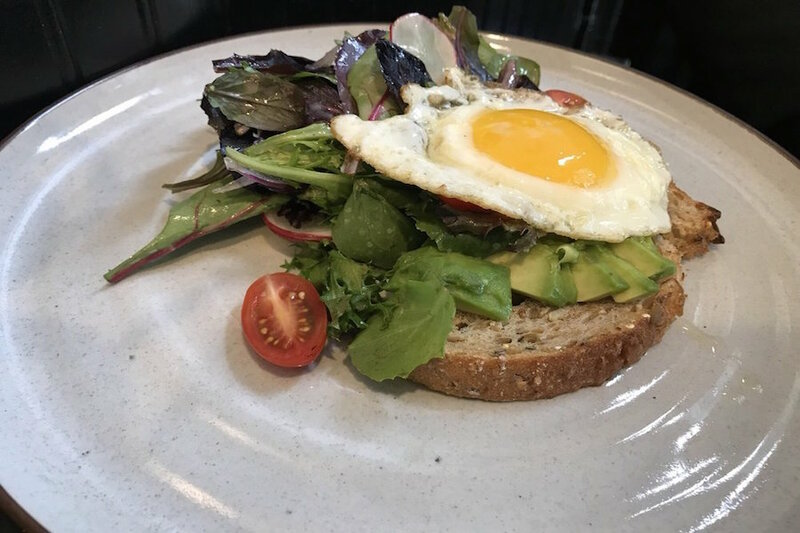 Lani F. noted, "1608 is definitely my favorite spot for brunch! Drinks are amazing, and the food is even better! Make sure you order a side (or two) of the tocino bacon. Can't wait till my next brunch." Situated on the ground floor of the Krupa Hotel, Lapisara Eatery is a breakfast and brunch spot that features classic brunch items. Diners can enjoy dishes like chicken and waffles with honey and bourbon syrup ($16), New York steak and eggs ($20), and huevos rancheros ($10). 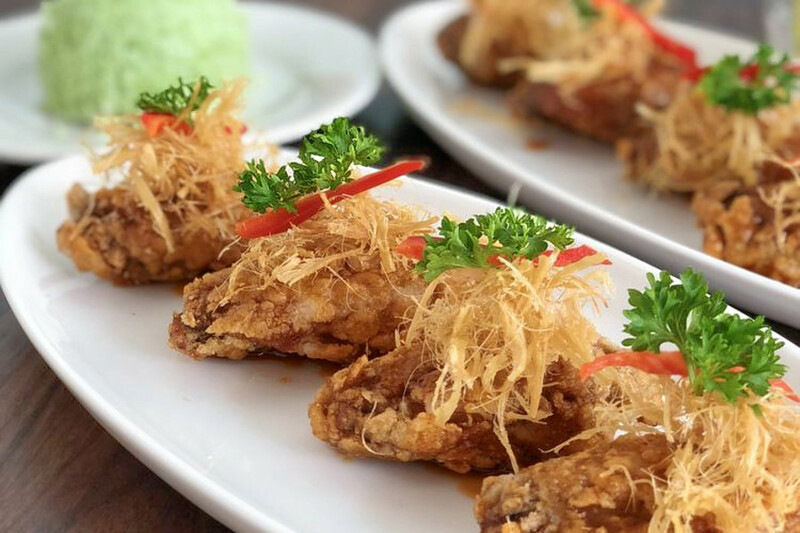 Lapisara Eatery's current rating of four stars out of 27 reviews on Yelp indicates the newcomer is finding its way, but it's still in its early days. "A welcome addition to one of the most bustling food districts in the city," wrote Yelper Tyler W. "Lapisara's brunch menu infuses aspects of Thai cuisine with classic Americana for a party in your mouth. Come hungry." Amanda S. noted, "I absolutely loved my experience. The ambience and decor was beautiful and welcoming. The staff was very friendly and attentive. The food was delicious as well, and I loved the presentations. The crab omelette was giant and fresh! I definitely recommend this spot for a great brunch experience." Lapisara Eatery is open from 7:30 a.m.-3 p.m. and 5 p.m.-10 p.m. daily. Simply Cafe has taken over the former Sage Cafe space, and features an extensive menu of all-day breakfast and brunch dishes, salads and sandwiches, Chinese food and more. Look for American classics like the Meat Lover's Scramble with crispy bacon, sausage, honey ham, tomatoes and mozzarella -- or Chinese-inspired dishes like asparagus fish with black bean sauce and veggies. Simply Cafe's current Yelp rating of 4.5 stars out of 30 reviews indicates positive attention from users. "So many things to like about this cute little cafe. It's well lit, clean, offers comfortable seating, and the vibe is a pretty peaceful atmosphere," Yelper Kristy F. said. "Prices are reasonable and the staff is warm and friendly. They also offer a chinese food menu -- mixed vegetable & shrimp, mongolian beef chow fun, and spicy chicken curry -- and an American menu for sandwiches and salads." Veston S. noted, "Great food, delicious coffee, dedicated management and accommodating staff. Simply Cafe is a mighty fine place for all walks of life and age. Doesn't matter if you're an 85-year-old cowboy or an 18-year-old foreign exchange student. Simply cafe -- simply has it all." Simply Cafe is open from 8:30 a.m.-8 p.m. Monday-Saturday and from 9 a.m. to 6 p.m. on Sunday.